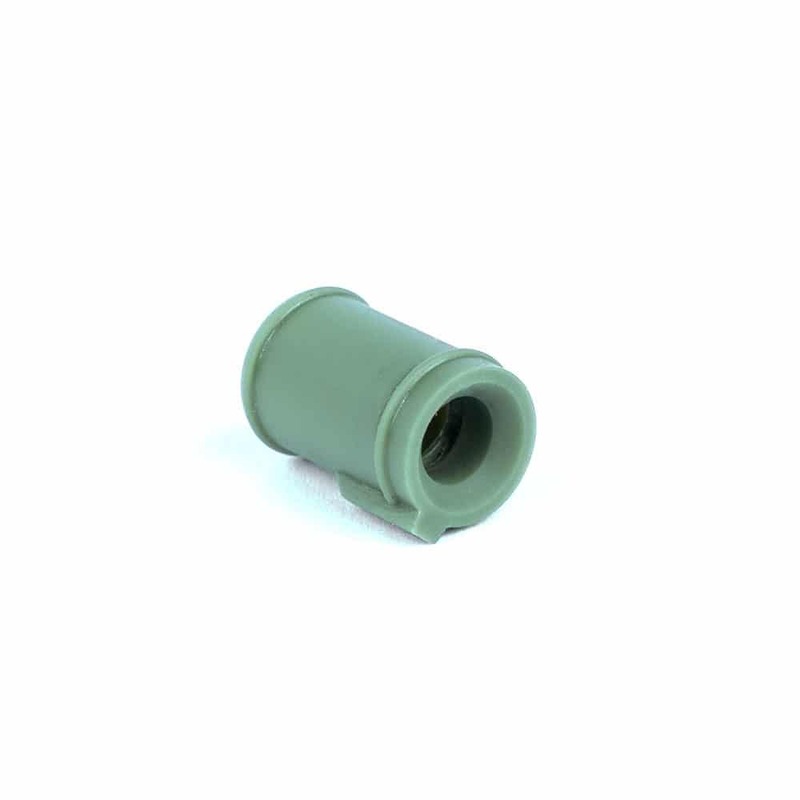 The hopup is made of a soft silicone with an extremely high friction coefficient. Due to the material combination it also works perfectly even under temperatures up to -25°C. It can hop BBs up to 0,46g. No R-hop modification needed. It sits tight inside the hopup chamber which provides a 100% seal. When you close the inner barrel with your finger and pull the trigger, the piston will stop before hitting the cylinder head, due to the perfect airseal.